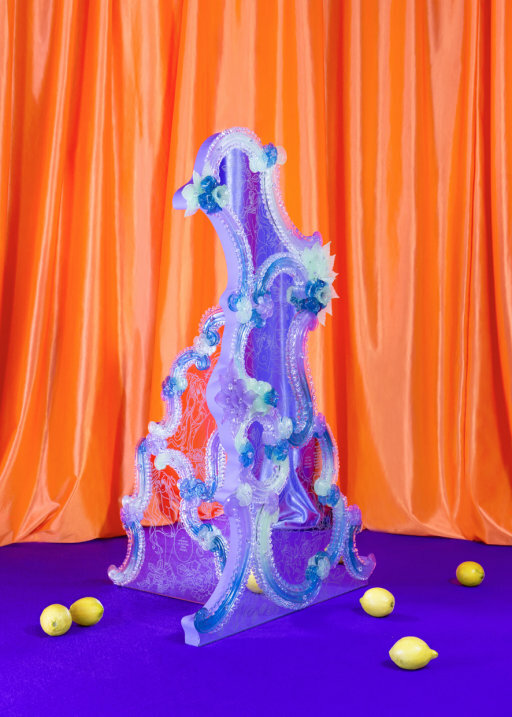 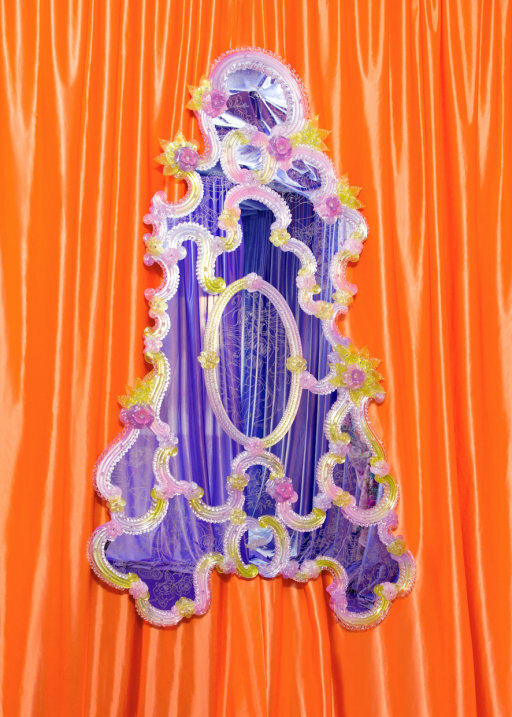 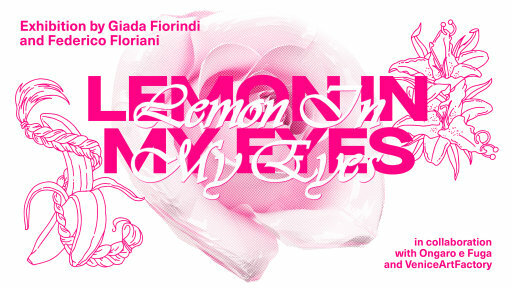 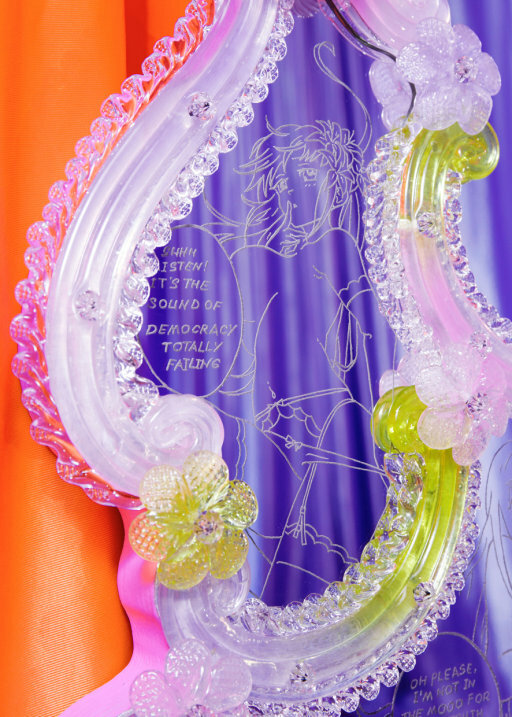 Lemon in My Eyes is a project where the duo formed by Giada Fiorindi and Federico Floriani reinterpret the antique Venetian mirror through a languid and kitschy installation. 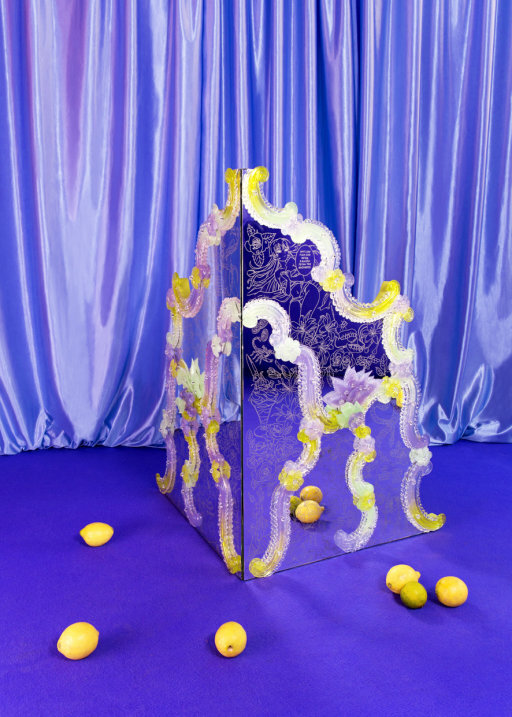 Artefacts with traditionally romantic and dainty aesthetics are placed within a contemporary frame, sabotaging their original meanings. The show presents a series of sculptural works where the narrative embraces new visual languages to speak about feelings in the Internet age, emotional objects and decoration as therapeutic element. 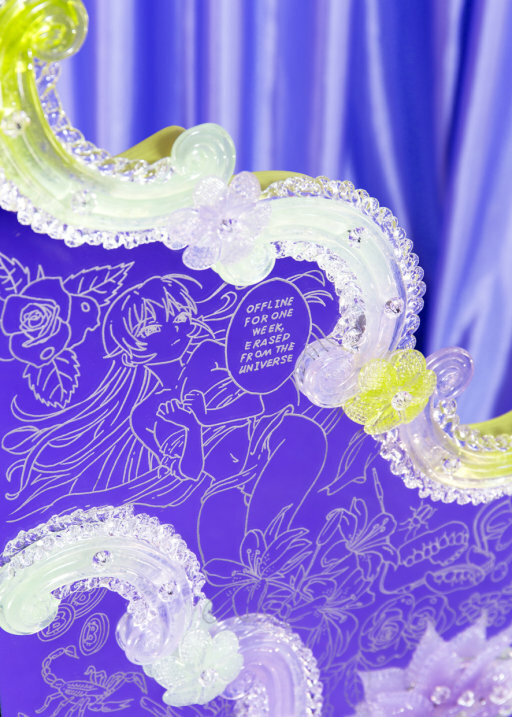 The silver-plated surfaces become canvas for the extensive engraved drawings. 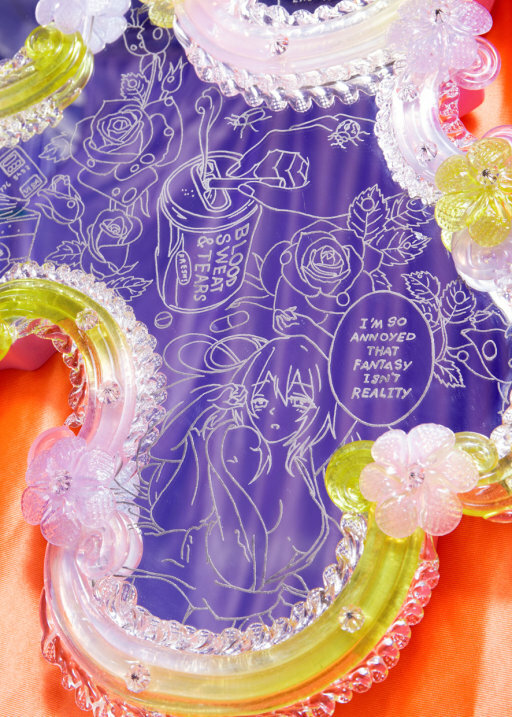 The subjects are voluptuous manga girls that take the place of angelic muses and comment on stories of decadence in their cartoon bubbles with the brevity of a tweet. 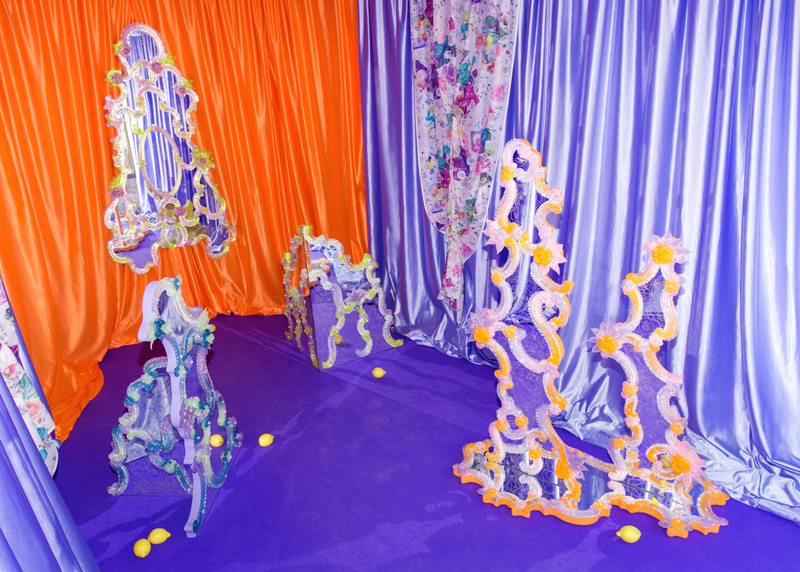 Hand engraved illustrations on mirror-plates, design of the sculptural pieces and their decorations, digital print on fabric as part of the installation.